In 1927, a young athletic director and English teacher at Manassas High School volunteered to teach music to interested students in addition to his regular duties, thus becoming the city's first public high school band director. The teacher, a Mississippi native, had studied several instruments in Denver with the father of the great Paul Whiteman. Perhaps this inspired him to think big for his kids, whom he dubbed the "Chickasaw Syncopators". Or perhaps his students were already accomplished, having grown up playing in local churches. For whatever reason, this high school band began performing professionally by 1929. 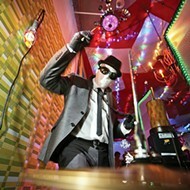 The following year, they made their first recording. By then, of course, they had ditched their original stage name, taking instead the name of their teacher and director: the Jimmie Lunceford Orchestra. 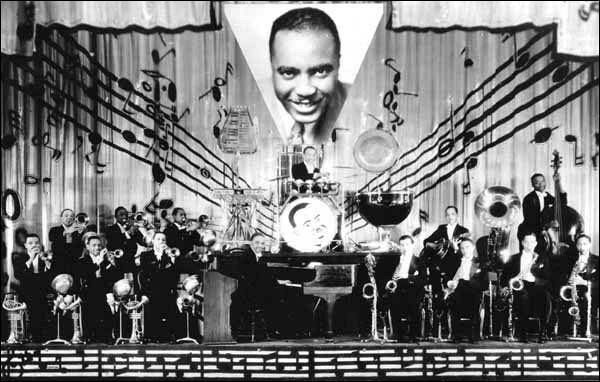 After some years of touring, they took up residence at The Cotton Club in Harlem, where Duke Ellington and Cab Calloway were already featured. They soon became recognized for their tight ensemble playing and humorous theatrics, with songs like "I'm Nuts about Screwy Music". This was when they really hit their stride, beginning a long run of vinyl releases on Decca through the rest of the 1930s. Then, in 1947, it all ended suddenly with Lunceford's sudden heart failure before a show in Oregon. The tradition he began at Manassas persisted though, with that high school spawning some of the greatest jazz players the city has seen, including Phineas Newborn, Jr., Booker Little, George Porter, Harold Mabern, Charles Lloyd, and Frank Strozier. As Miles Davis wrote in his autobiography, "Before I left for New York, I had had tryouts for the band and that’s where I got all those Memphis musicians — Coleman, Strozier, and Mabern. (They had gone to school with the great young trumpet player Booker Little, who soon after this died of leukemia, and the pianist Phineas Newborn. I wonder what they were doing down there when all them guys came through that one school?)”. Local musician and activist Ron Herd II, aka R2C2H2, has personally taken on the mission of remembering the great Jimmie Lunceford here in the city where he was laid to rest. 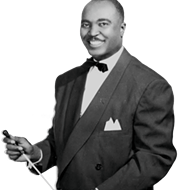 Tuesday, June 6, Lunceford's birthday, will mark the first annual Jimmie Lunceford Wreath Laying Ceremony at his graveside in Elmwood Cemetery. A free, family-friendly event with cake and other refreshments, it could prove especially lively if guests accept Herd's invitation to bring instruments and pay honor to Lunceford with an impromptu open-mic jam. (Wreath Laying Ceremony begins at graveside, located at South Grove 10, Lot 437. The rest of program will be conducted at The Lord's Chapel, located across from the administrative building near the front entrance of Elmwood Cemetery). For inquiries, call Ron Herd II at (901)299-4355.